Timing really is everything. The brouhaha over former Secretary of State Hillary Clinton’s email records couldn’t have hit the headlines any more perfectly for Sunshine Week, an annual national initiative sponsored by the media to promote a dialogue about the importance of open government and freedom of information. 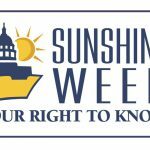 Sunshine Week is March 15-21, and Clinton’s email dustup shines a spotlight on the value of open government. The initiative always coincides with President James Madison’s birthday on March 16, because Madison was the founding father who was the most adamant about the need for the government to have checks and balances. And it gives the news media a great opportunity to pontificate. Newspapers publish a wide variety of articles on the value of open government and threats to it, while the Sunshine Week organization itself sponsors a number of events around the country. 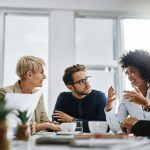 What makes Sunshine Week particularly interesting is that it’s becoming increasingly clear that electronic documents allow governments to be more transparent. Governments are seeing the value of using electronic documents to make it easier to track information and to allow public access. For example, at this point, 40 percent of federal agencies now post Freedom of Information Act (FOIA) requests online. “Technology can be harnessed to create state-of-the art FOIA platforms that save agencies time and money and help decrease FOIA backlogs,” writes Lauren Harper, FOIA expert for the National Security Archive. Better still, agencies can save money and time—particularly to keep from getting multiple requests—by just posting the documents online in the first place, alleviating the need for an FOIA request, Harper notes. “In the sequester era, with finite and ever-more-limited government resources, any new request from the public competes for time and effort with every previous request,” she writes. Although electronic documents have become more pervasive, governments are increasingly faced with balancing the openness that citizens demand with the privacy that citizens deserve. Yes, public records belong to you, but your personal information belongs to you, too, and sometimes the two conflict. Similarly, police departments are now grappling with the issue of body camera footage. Is this footage a public record? If it isn’t, and people can’t request it and it can be hidden by the department, what’s the point of having it? At the same time, releasing it to anybody runs the risk of hurting innocent people who happened to be filmed by a police officer. As time goes on, this type of incident is going to become more difficult to solve. “Accountability, privacy, safety and protecting the public are goals easy to express, but in today’s surveillance society, nobody has all the answers,” writes Robert J. Freeman, Executive Director of the New York State Department of State Committee on Open Government.